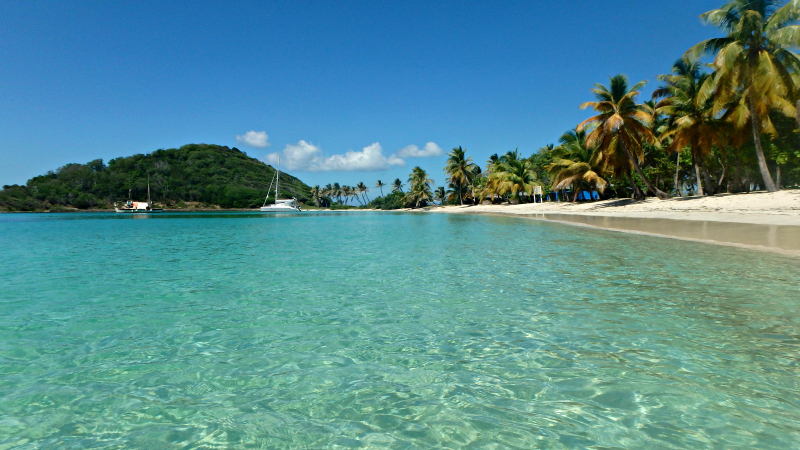 The Tobago Cays in St Vincent and The Grenadines is a world famous marine park. 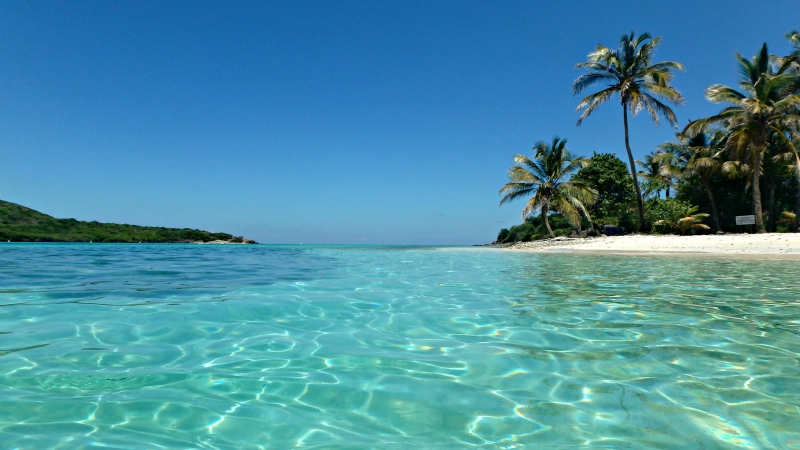 The cays are typically Caribbean, an archipelago comprised of five beautiful lush islands surrounded by coral reefs in the shape of a horseshoe. 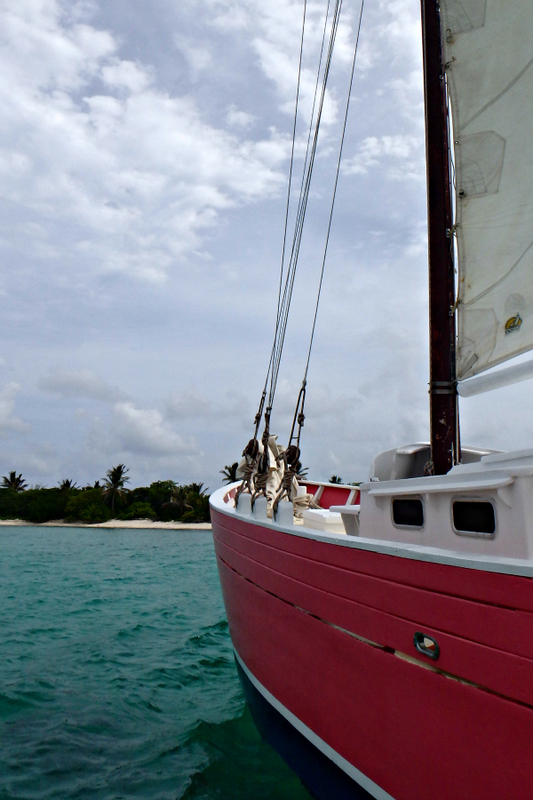 On our second day on Palm Island we went on a sailing trip to the Tobago Cays on a beautiful schooner called The Pink Lady. 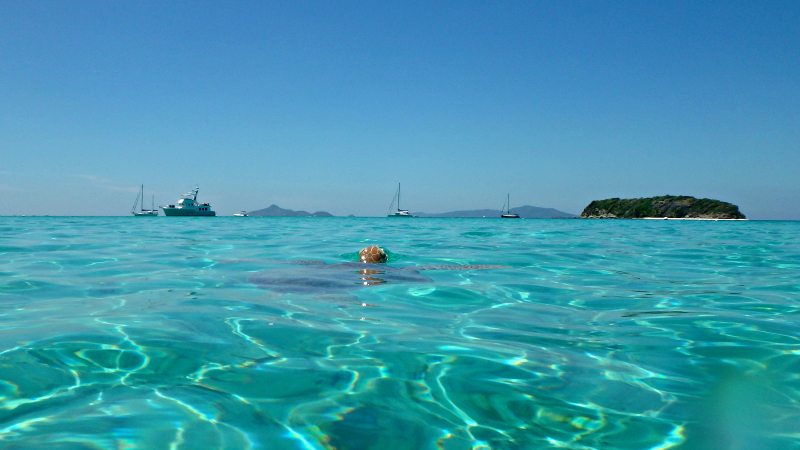 It has been my dream for so many years to swim with sea turtles, and I was determined to find some in The Grenadines. 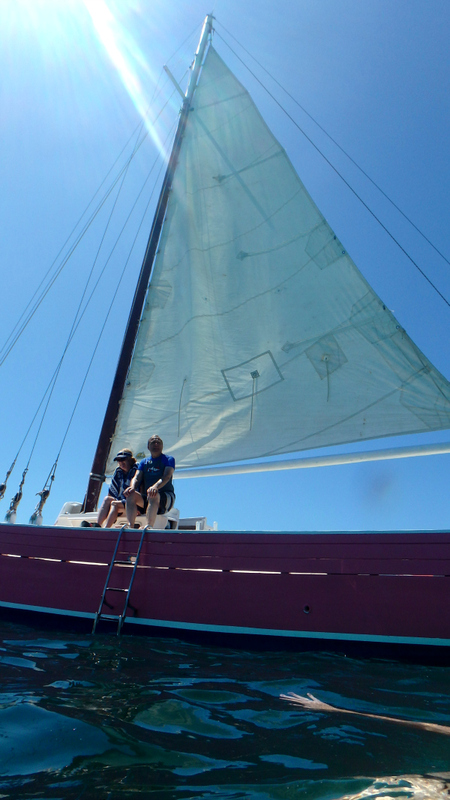 We had so much fun on our first sailing trip, that we actually went on it a second time a few days later! 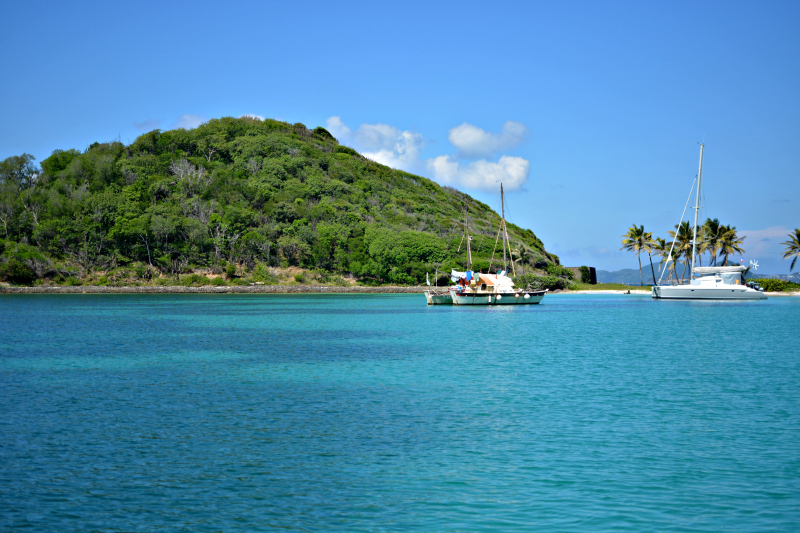 In this post I'm going to tell you all about our trips sailing around the islands (we sailed to Mayreau as well as the Tobago Cays), and I'll keep the turtles for another post (I have a lot of photos and stories to share). They definitely deserve separate posts as both experiences were so amazing! We got up bright and early on the Monday morning, and even at 9am it was already boiling hot. The entire week on Palm the temperature was in the high thirties. The six of us (the max number of people per trip is six, making it really personal) were taken on a dinghy out to the boat, and we all covered ourselves in sunscreen while the two-man boat crew prepared the boat. Unfortunately on our first trip there was no wind so we had to use the motor instead of the sails, but on our second trip a few days later it was very windy and overcast and we got to use the sails, which was awesome! 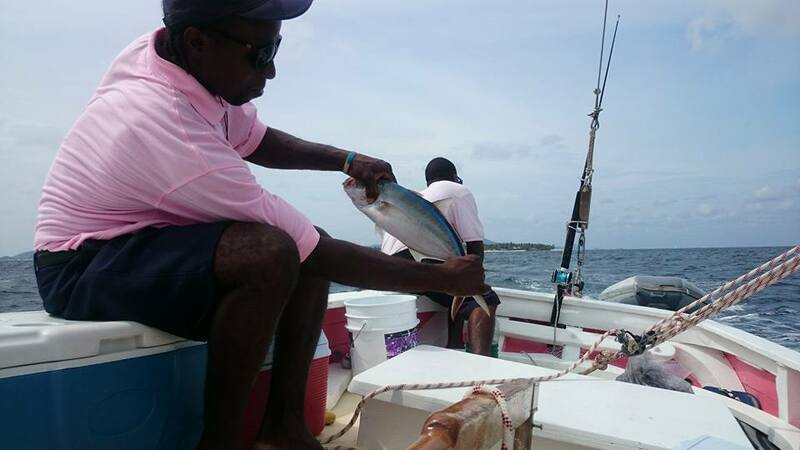 On the way out on the second trip, Cornelius caught us a bar jack fish for our lunch straight off the back of the boat! It had the most beautiful bright blue stripe on it's back. It also tasted delicious (sorry, fish), but more on that later. 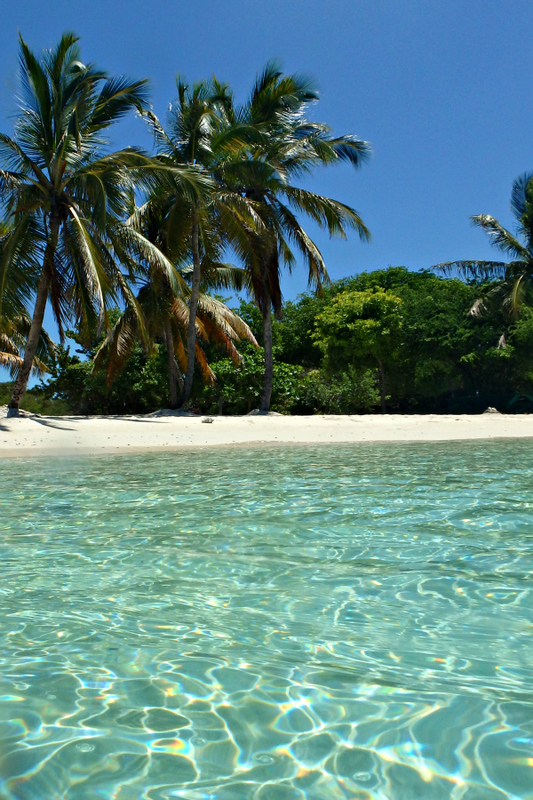 Because the Tobago Cays is a marine park, the five islands are uninhabited. They are; Petit Rameau, Petit Bateau, Baradal, Petit Tabac and Jamesby. 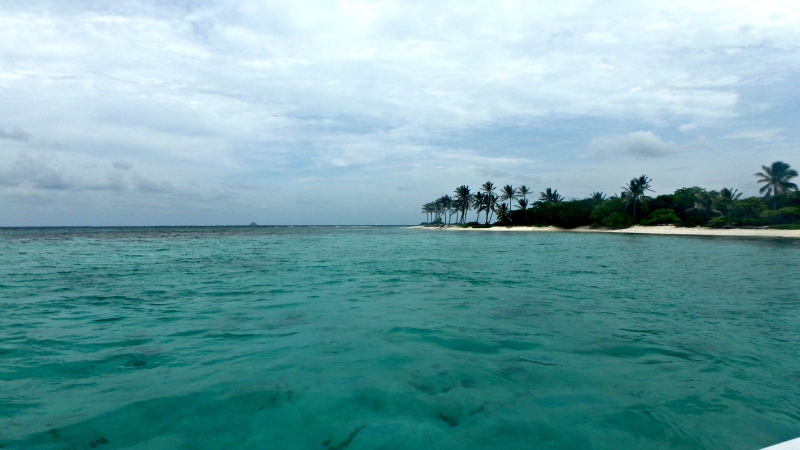 Petit Tabac is the island used in The Pirates of the Caribbean: The Curse of the Black Pearl. 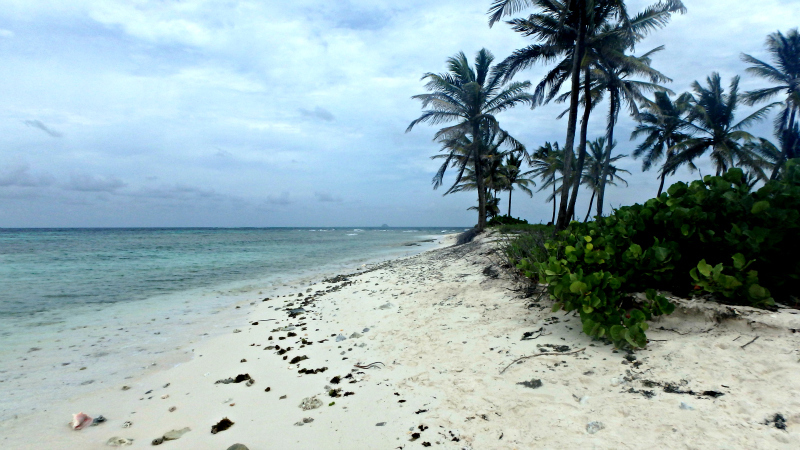 The production team apparently searched all over the Caribbean for the perfect deserted Caribbean islands, but struggled to find any without modern buildings and resorts built on them. 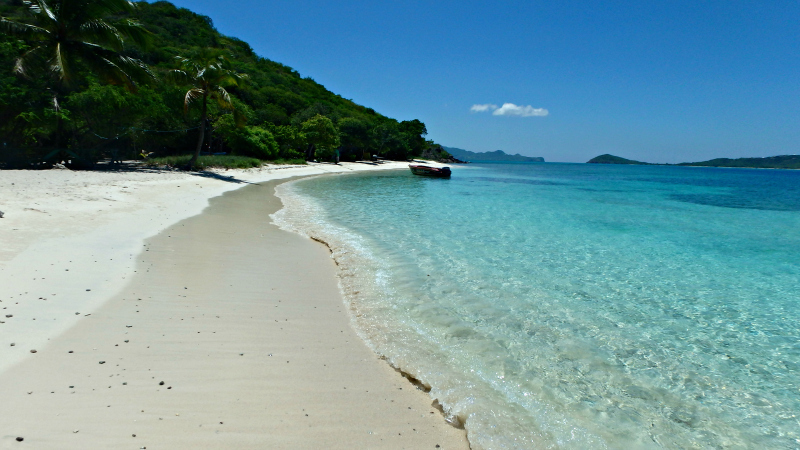 This is the main reason why they filmed the majority of the film in St Vincent and The Grenadines, because they're some of the most unspoilt in the whole of the Caribbean. We anchored up right by Petit Bateau, and while the boat crew took all of the eskys full of food and tools over to the island to start cooking lunch, we all jumped into the water (well...everyone else jumped...I gingerly climbed down the steps), and cooled off in the beautiful clear waters. Because it's all reef around Petit Bateau the colour of the water is quite greeny blue (but that nice Caribbean green), and you don't typically get turtles there. Once the men had dropped off the lunch stuff and Silaz started cooking the food on Petit Bateau, Cornelius brought the dinghy back over to us and we all climbed in to take the short trip over to Baradel, where there's no reef and the turtles feast on the sea-grass there. The water around Baradel is completely clear, it is quite literally paradise. These photos aren't edited at all, this is exactly what it looks like in real life! We were completely shocked by it and it felt glorious to swim in. Yes, that is a sea turtle head popping up!! I was in awe the whole time we were swimming with the turtles. Like I said though, I'll do an entire post on that experience because it was absolutely incredible! After swimming we were all pretty exhausted (turtles move surprisingly quickly! 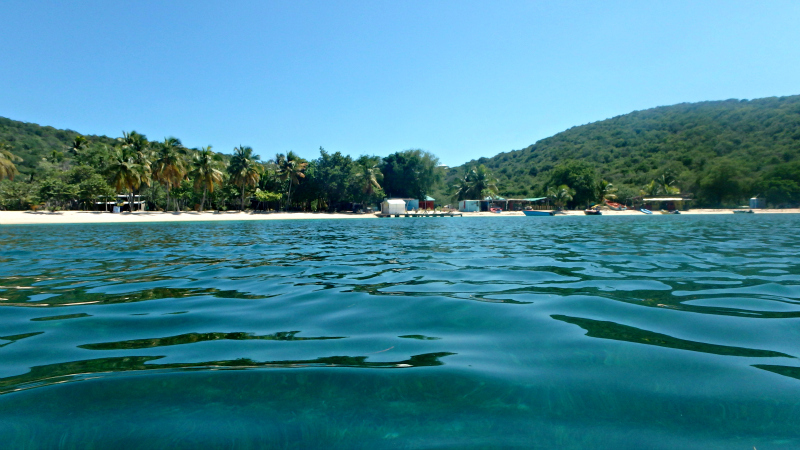 ), so we jumped back into the dinghy and Cornelius took us back over to Petit Bateau for lunch. 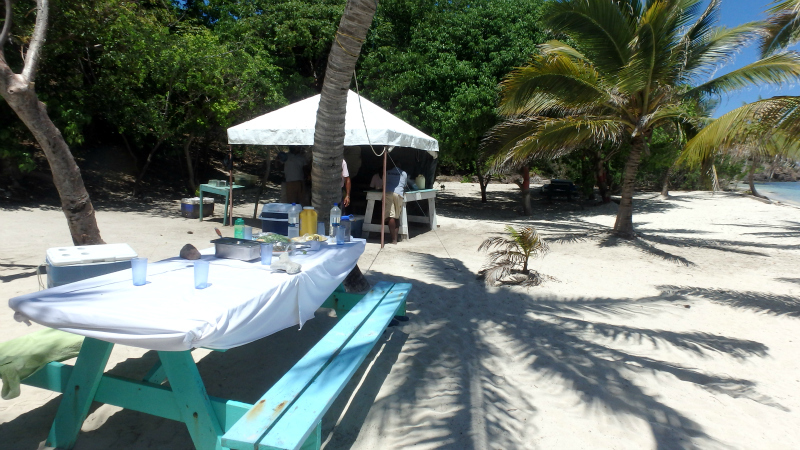 Lunch was absolutely fantastic, we had pork, chicken, steak, and the fresh fish that had been caught on our way out. I had a tiny bit of chicken and then stuck to the fish (which was just perfect). As well as the meat and fish there were big bowls of fresh salads, stuffed jacket potatoes, fresh fruit, and cakes. We all tucked in, and our laughter rang out throughout the island as we told stories and got to know one another. The people we went on our sailing trips with became our holiday friends, all of them were so much fun and so hilarious! Martin asked if I'd flown from London with BA or Virgin, and Zak the American misheard and thought he'd asked me if I was a virgin! We all burst into fits of laughter and Zak said he did think it was a bit forward but wasn't sure if it was a British thing! 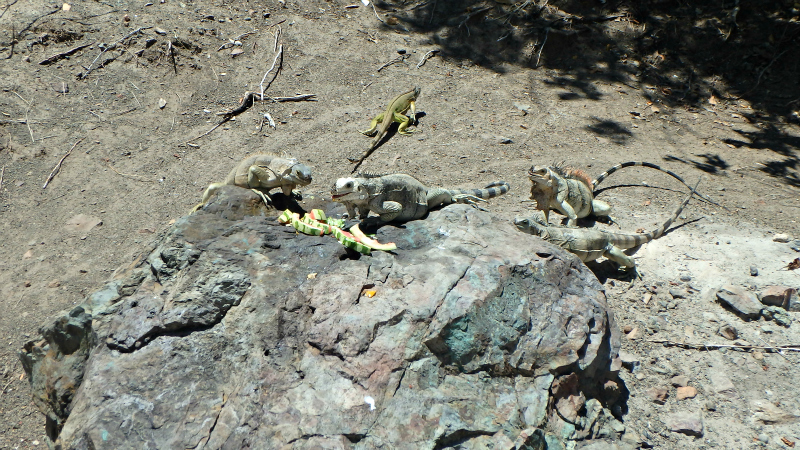 After we'd stuffed our bellies there was still lots of food left, so the boat crew fed a big handful of the fresh fruit to the iguanas on the island, and then they ate the rest along with some of the island's park rangers. After lunch we went for a wander around Petit Bateau, and over to the other side of the island which overlooks Petit Rameau. The water over this side was completely calm, and we dived straight in. 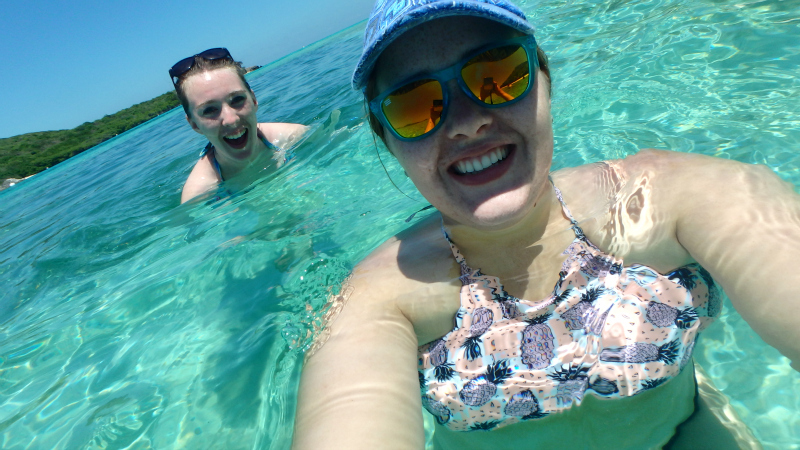 We all sat in the calm shallow waters taking photos and continuing our story-telling, and even saw stingrays swimming alongside us! 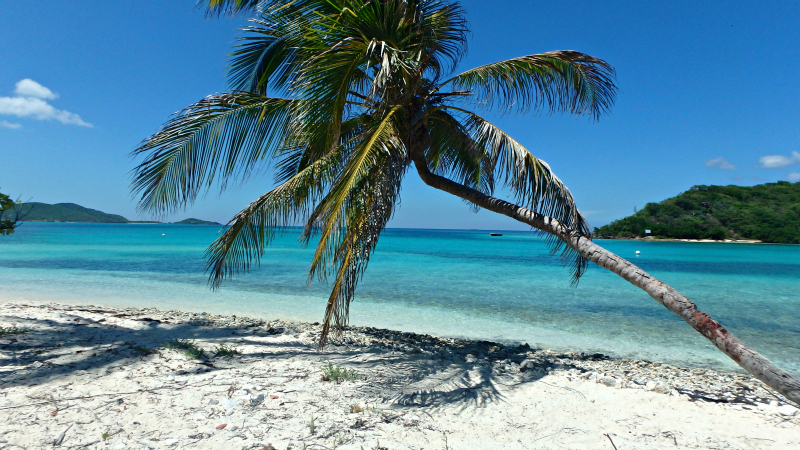 The Tobago Cays were the the typical Caribbean idyll you see in movies and books and pinterest. 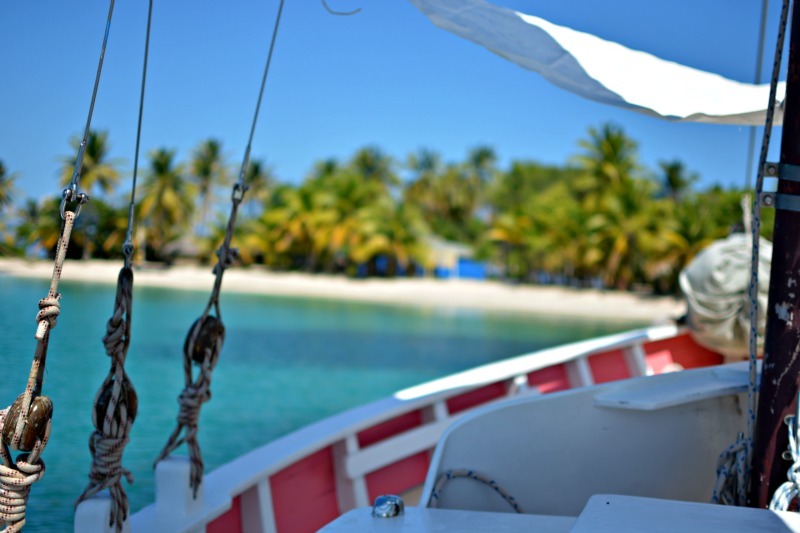 The two days we spent on our sailing trips around the Tobago Cays were some of the happiest of our whole trip (and that's saying something). I felt as though I were in heaven. I had dreamed of it for so long, and finally, I was living out my dream. Words can't really describe how beautiful they are, you have to really see it to believe it. 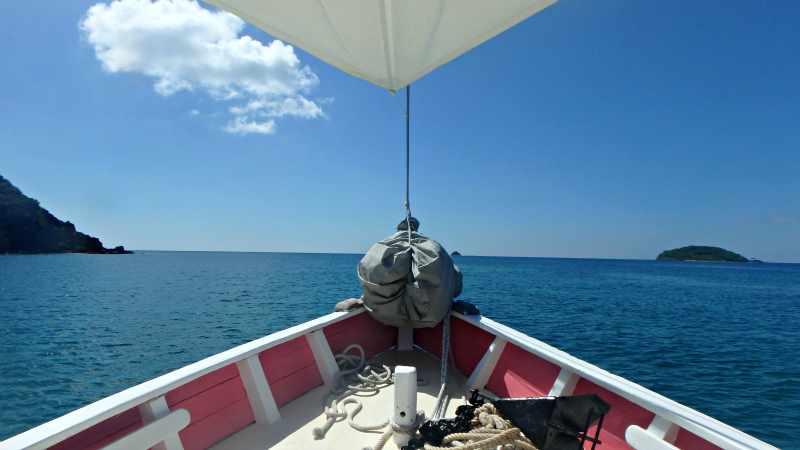 On our second trip we sailed over to Petit Tabac. It was super overcast and windy, but it was still awesome! This is the island where they filmed the scene where Elizabeth and Jack Sparrow get stranded in Pirates of The Caribbean: The Curse of the Black Pearl. The one where Jack famously shouts 'WHERE IS THE RUM!?'. Naturally Rachael stood on the desert island and shouted that herself. We all decided to go and hunt for it, which you can see in the vlog below (which also includes swimming with sea turtles!)! 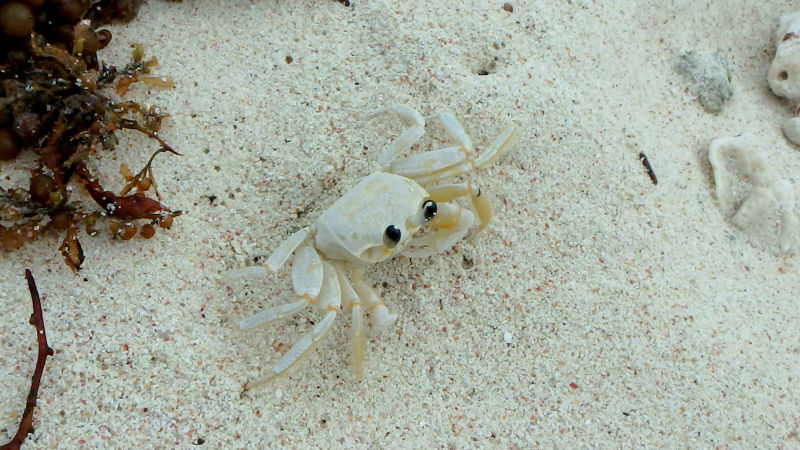 After failing at finding the rum, we did manage to find these teeny tiny white crabs! 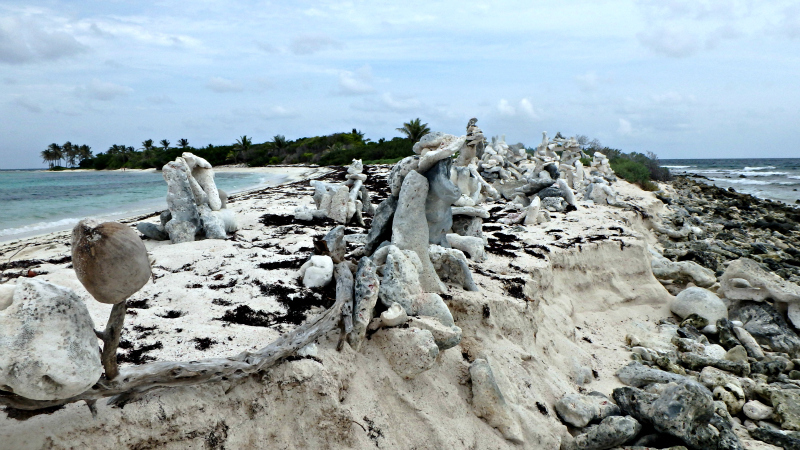 And also these random piles of rocks, which are all that's left from the film. 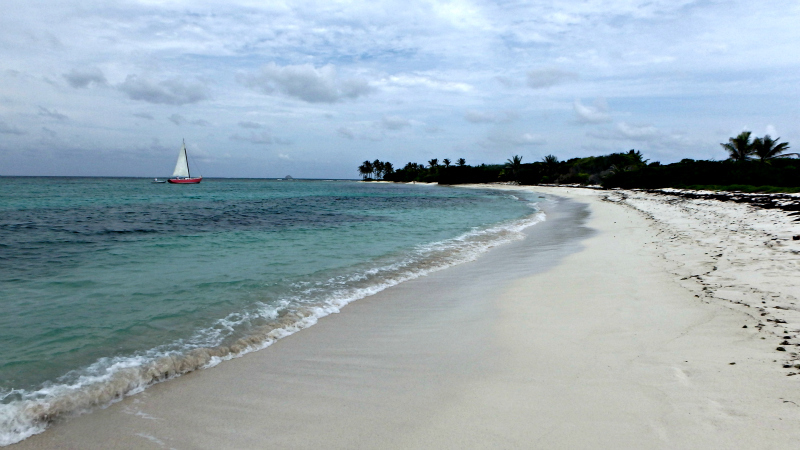 On our first sailing day we stopped off at Mayreau on the way back to Palm Island instead of Petit Tabac. Unfortunately we didn't get to stop off in the main town on Mayreau, we just anchored in one of the bays and swam to shore. 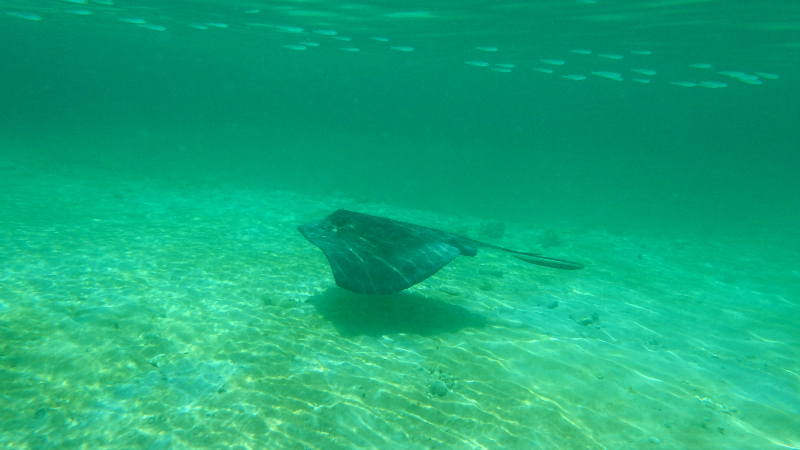 I was worried about all the sea-grass beneath us and what was lurking in there, but Martin put his snorkel on and made sure we were all safe to swim there! 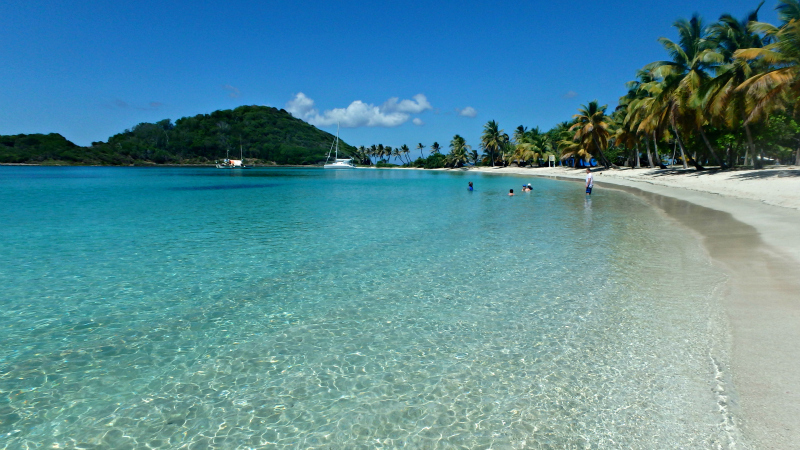 The bay in Mayreau is exactly what I think of when I think of the Caribbean, the lush green hills, curved sandy beach, and beautiful colour of the water. After another lazy 10 minutes or so laying in the shallows of the water, we swam back to the boat and set off back to Palm Island. On our first sailing trip the journey couldn't have been anymore calm and perfect. Rach and I sat up front with Maddie under the shady sun sail. Pirate Top is from Pull & Bear, Sunglasses are Blenders. On the second trip though, the waves were high and the boat was rolling all over the place! 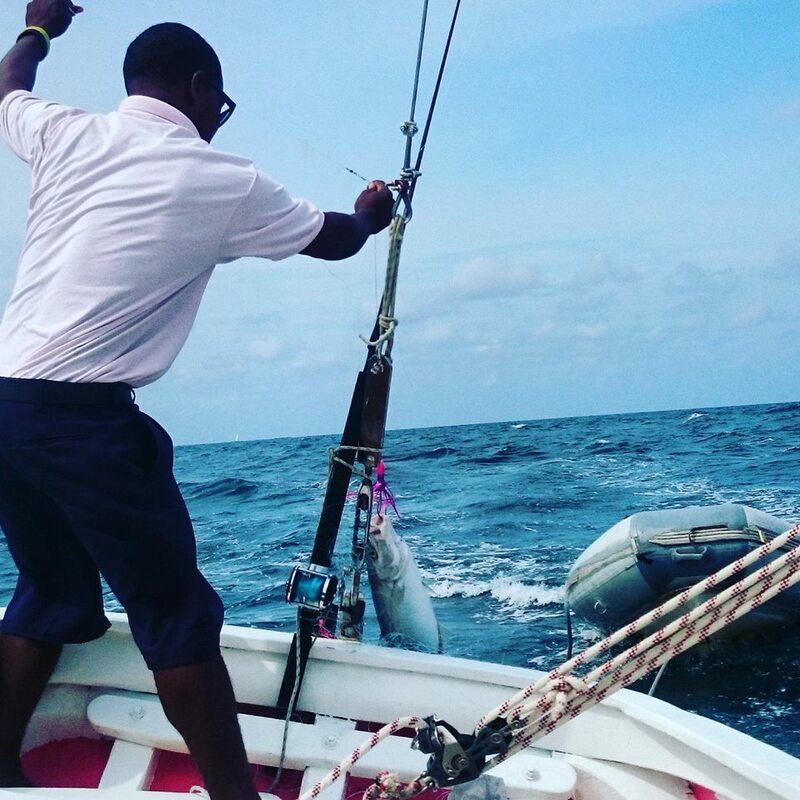 We asked Silaz what the worst ever weather he's ever sailed in was, and after hearing his stories, we felt much safer! 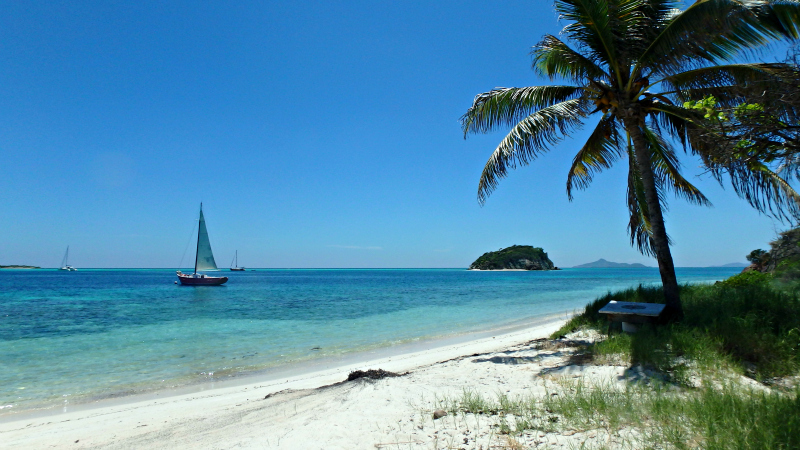 As promised he got us back to Palm Island safe and sound, and thankfully with no issues with sea-sickness. 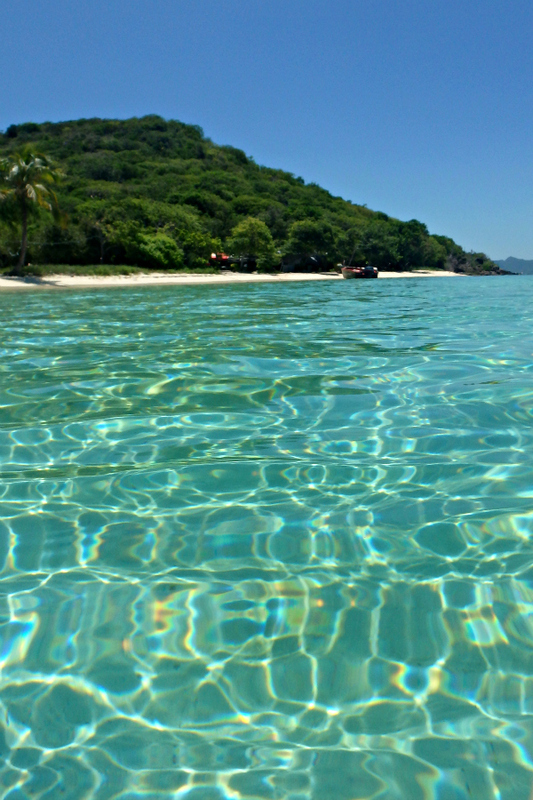 Our two days spent sailing round the Tobago Cays and Grenadines were so so special, and I can't recommend it highly enough to anyone visiting Palm Island or The Grenadines! 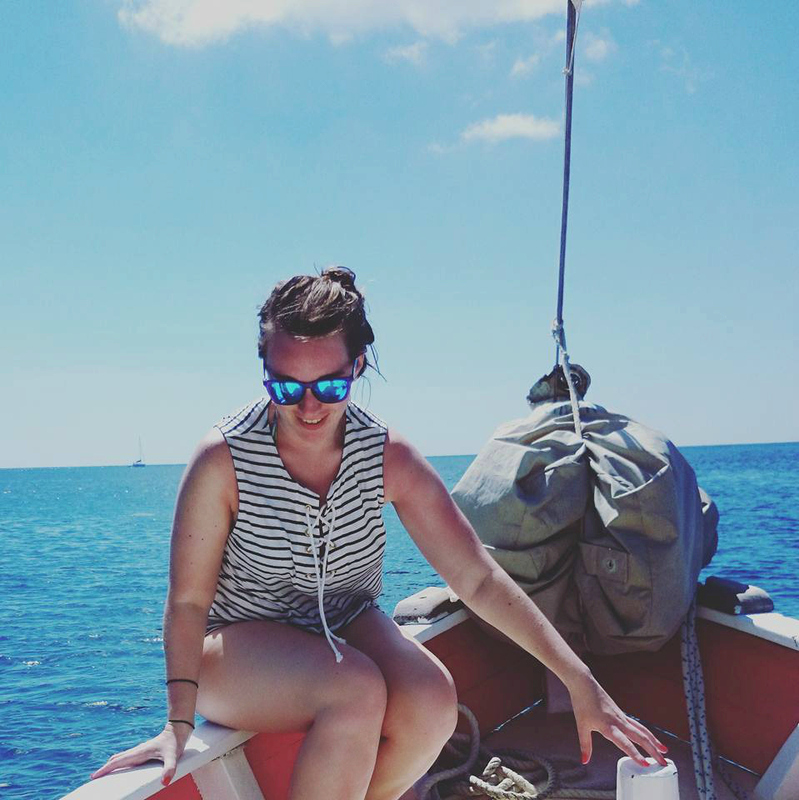 Later this week I'll be telling you all about swimming with sea turtles, so make sure you follow me on Bloglovin and keep an eye out for that! Catherine I can't even begin to comprehend how beautiful this is! Swimming with turtles, visiting film sets, swimming in that GORGEOUS ocean?! What a magnificent experience! The Caribbean is alwys somewhere I've wanted to go and these posts make me even more desperate to visit! What an absolutely stunning trip! 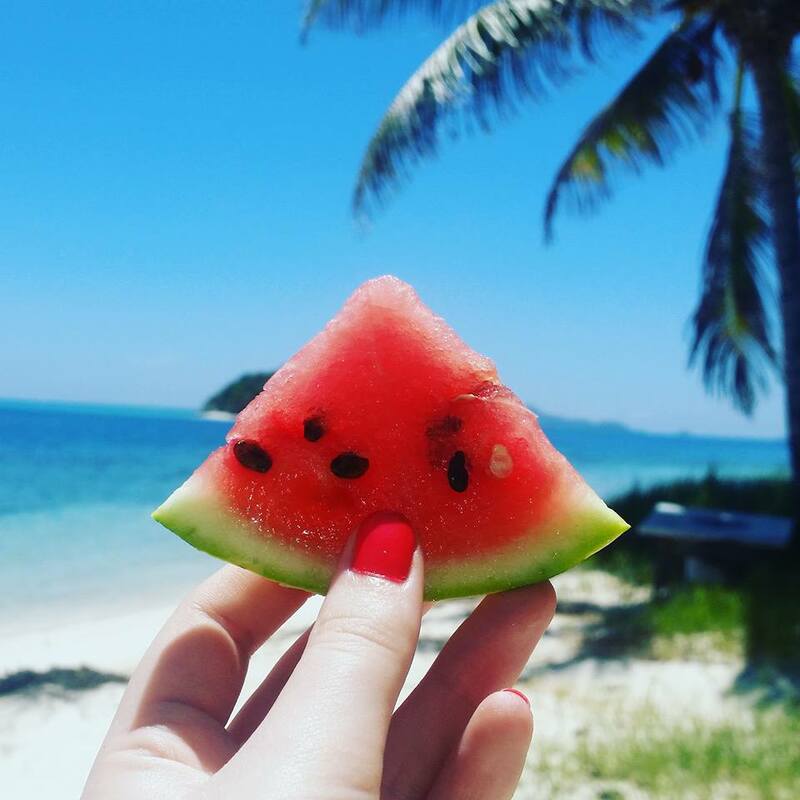 And you can't beat watermelon slices by the the beach! 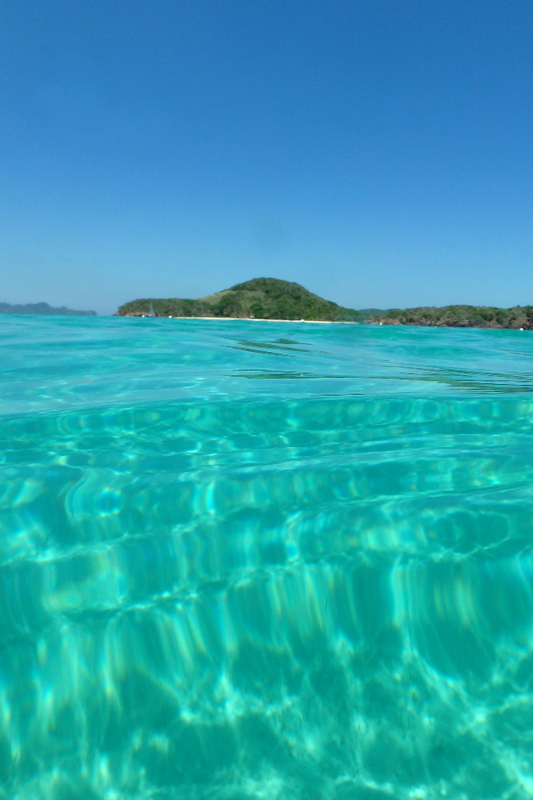 That crystal clear water OMG!! That's just Mr S's idea of heaven!! I would happily man the boat though ;) Paradise!!! So good you went twice? Heavenly! Looks like you had an amazing time. Such great photos! 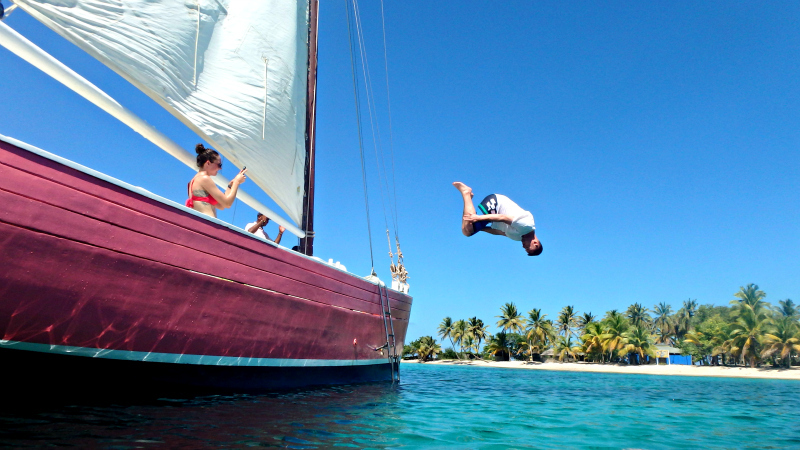 LOVE this, wheres a photo of you diving in off the boat luxy?! 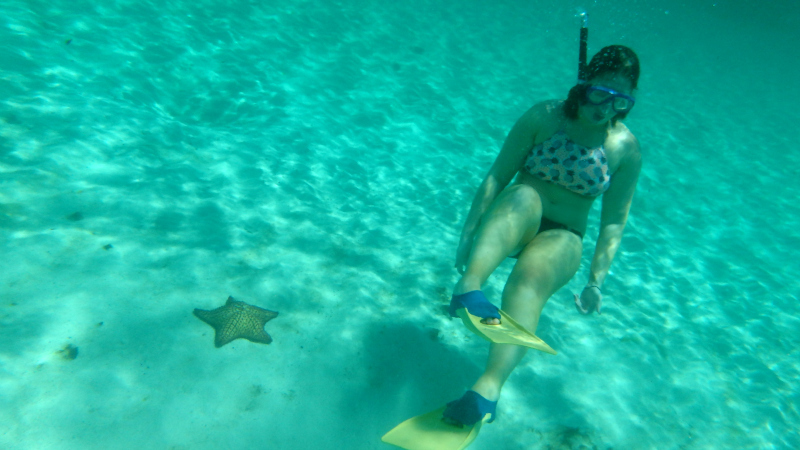 I cat wait for your swimming with turtles post- I swam with some in Brasil and it was amaaaazing! 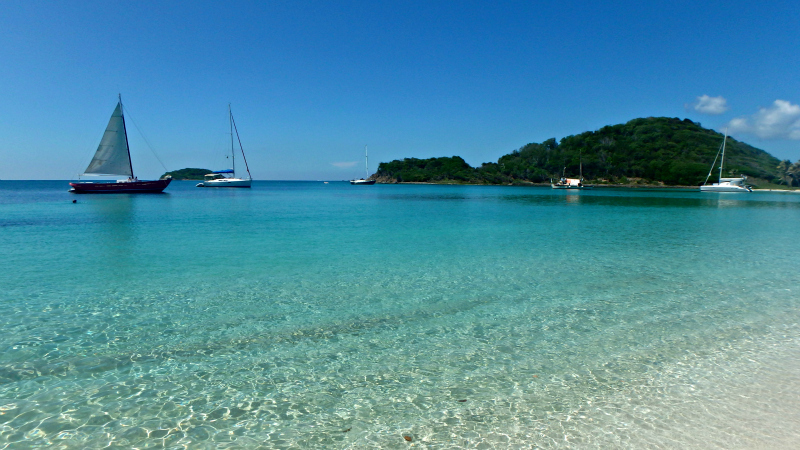 That is so beautiful - the water is just incredible, so clear and that amazing turquoise shade. Would absolutely have loved to swim with turtles as well. 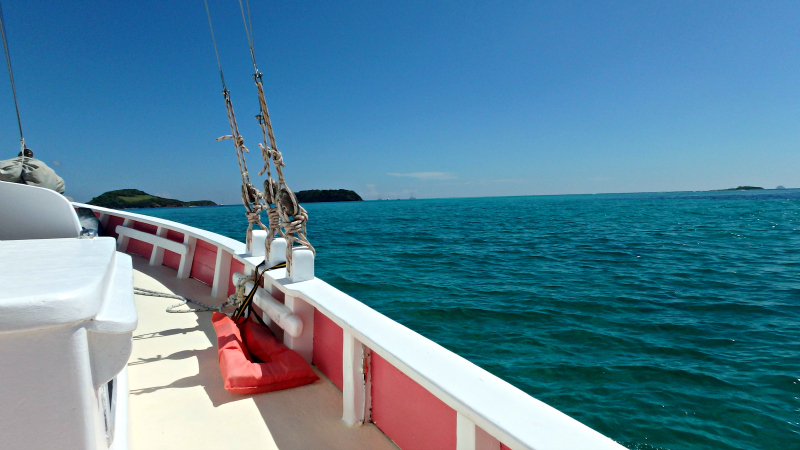 There's nothing like a boat trip to take you somewhere so unspoiled too. I love that shot of the watermelon, and the water is such a beautiful shade of turquoise! Look how clear the waters are now that is something you don't see in England! 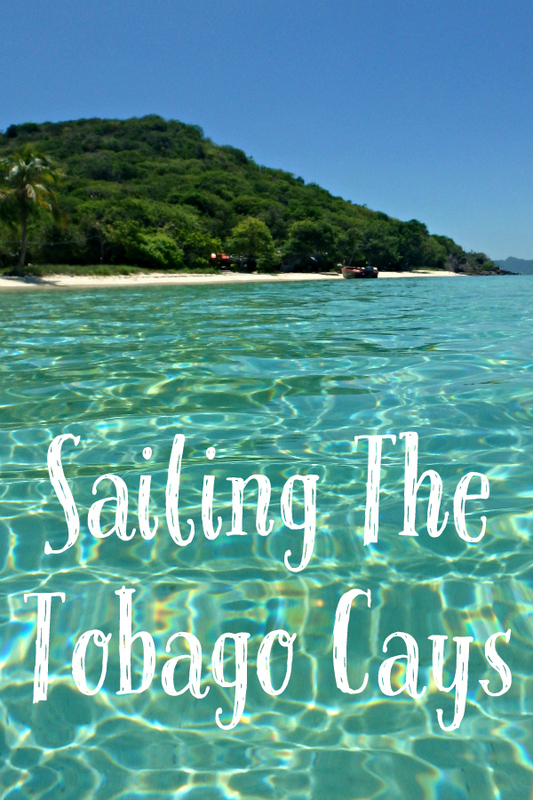 I have always wanted to visit the Tobago Cays there is something so magical about its culture and outlook on life.